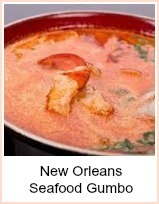 Seafood Gumbo is Cajun/Creole by origin - brought in from Nova Scotia by the French settlers to Louisiana. They loved their fish boulliabaise, but had to substitute local ingredients. With the addition of ingredients by the Spanish and Africans, boullibaise evolved into Gumbo. 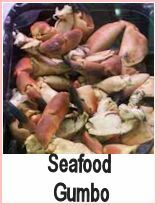 It has many variations and is a mainstay of New Orleans cooking. CAUTION lab tests have found sassafras which is the main ingredient of file powder to cause liver cancer. 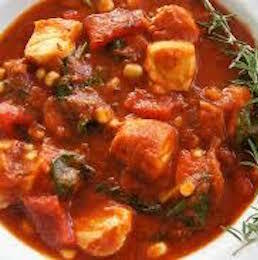 There are loads of different Gumbos, but the basic stew is broth over rice or potato. The rice or potato are traditionally prepared separately and combined in the serving bowl.The broth can contain either seafood or meat. So once you have your basic Gumbo sauce recipe, you can add any combinations you like. The original Seafood Gumbo was made with okra and it is the most common for Louisiana restaurant kitchens. OK then - here goes. 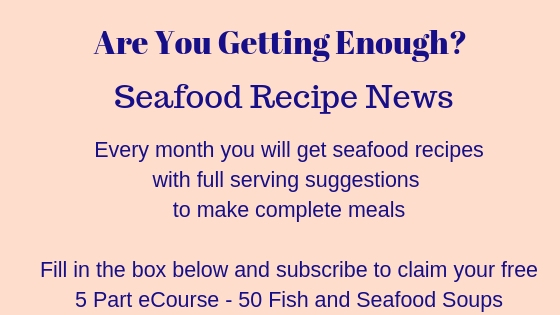 I will give a basic Gumbo recipe that you can adapt as you want to. Take a large pot and heat the oil. Add the onions, celery, peppers and garlic and saute for a few minutes until slightly softened. Add the okra, worcester sauce, tomatoes and simmer for about 5 minutes. Add the fish stock, herbs and any juices from the fish - eg oyster liquor - bring to the boil and taste. Add salt and pepper as desired. Allow the pot to simmer for about 20 minutes - skim off the liquor before adding the seafood. Add the fish and allow to cook through - approx 5 minutes. Put warm cooked rice into a bowl and serve your finished gumbo over it. The addition of crusty bread, potato salad or sweet potatoes would make this into a really hearty meal. 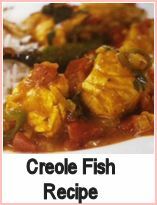 Authentically Creole Seafood Gumbo. Thickened with okra, this will be one of your go to recipes that you use over and over.